The latest section of 30Avenue, Inlet Beach, is approaching completion. The architecture and landscape of 30Avenue merge sophistication with the area’s natural beauty and relaxed coastal lifestyle that are the hallmarks of the world-famous towns of 30A. 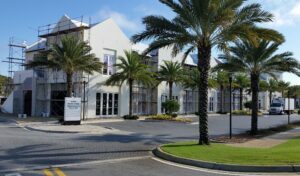 This new village center is poised to be an integral part of the thriving South Walton Community.